Things are looking up for SV Werder Bremen after a shaky start to 2016/17. Given the unenviable task of opening the 2015/16 Bundesliga season at the home of the defending and record champions FC Bayern München, Bremen struggled to recover from the bruising setback of a 6-0 defeat. They went on to lose their first four games, conceding 14 goals, and Viktor Skripnik was soon replaced by Alexander Nouri. A four-game unbeaten conclusion to 2016 has set the bar to where they will be aiming for in 2017, by staying above the drop zone. Bremen beat off some stiff competition to sign 21-year-old winger Serge Gnabry from Arsenal FC in the summer, and they arguably got the best bargain of the summer transfer market. Gnabry has paid back every cent invested in him, plus interest, with seven goals in 15 Bundesliga appearances. Those have earned him a place in the Germany national team too, and with three goals in just two caps, he has been a star for club and country so far this season. Click here to vote Gnabry into your Team of the Hinrunde! 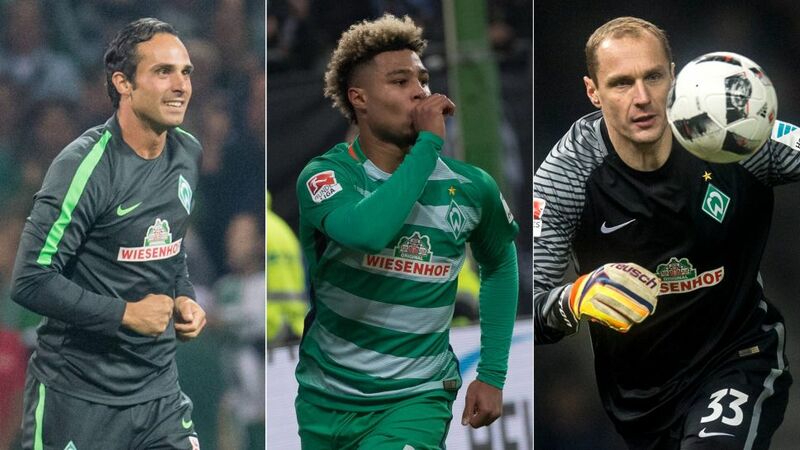 Werder's season was heading down a dark avenue until Drobny returned from a broken wrist on Matchday 12. He conceded just five goals in as many games towards the end of the calendar year, providing the security Bremen needed at the back to go with the incision Gnabry was bringing at the other end of the field.